all of your tire sizes. Digital electronic circuitry allows rapid and easy configuration anywhere, without need for a specialized programming instrument. 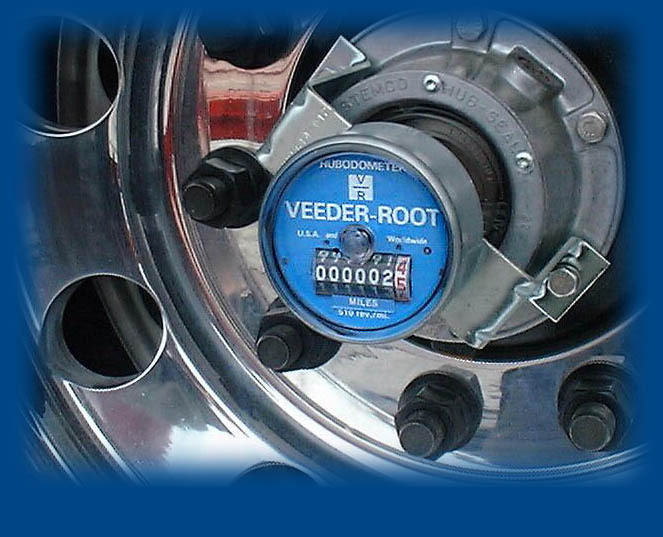 You can count on its single, standard model for a perfect match to virtually any tire size. 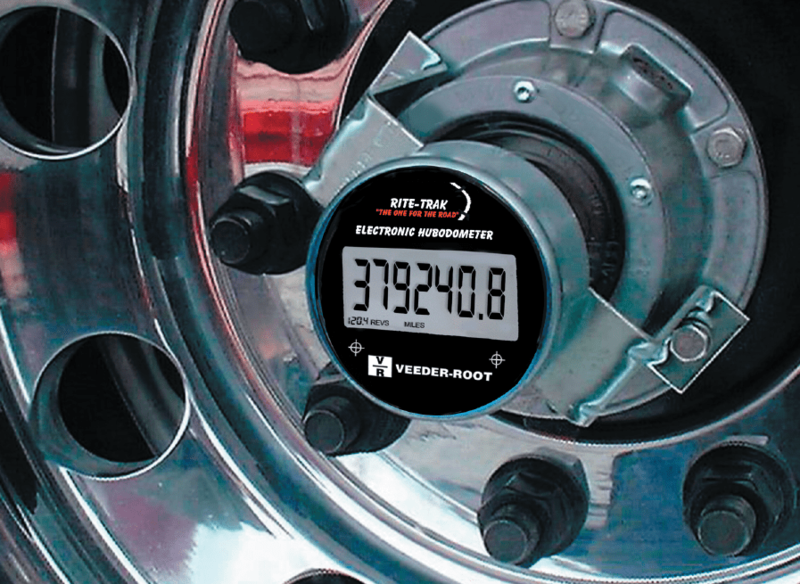 Large, high-contrast display always remains in upright position providing easy, reliable and highly accurate data collection. Separate Trip and Lifetime totals permit specialized record keeping methods. Rite-Trak’s setup features include capturing distance data as miles or kilometers. 5-Year Warranty – no mileage limitation. Security features include serial number viewing via the display as well as tamperproof setup scheme. Only one moving part for increased reliability. “Fuse” lockout feature. Changes to the unit’s set-up can be perminatly disabled to prevent tampering. May be preset to any starting value. Still available the Original Model: 7777 mechanical Hudodometer.